FreedomWorks is proud to recognize Rep. Ted Yoho (R-Fla.) as Member of the Month for June for his principled stance on the issue. Rep. Yoho was elected to Congress in 2012 and is currently serving on the House Committees on Agriculture, and Foreign Affairs where he is chairman of the Subcommittee on Asia and the Pacific. As a member of the House Freedom Caucus, fighting for the constitution and preserving liberty is par for the course for Rep. Yoho. From the beginning he promised to fully repeal and replace Obamacare and has since kept that promise. Rep. Yoho has been working to pass legislation that puts American’s best interest first, including legislation that he sponsored requiring urgency in congress to pass comprehensive tax reform within the first 240 days of Trump’s administration H. Res.272. With an 88 percent lifetime score on FreedomWorks’ Congressional Scorecard, Rep. Yoho has continually improved his score with FreedomWorks, with a 91 percent for 2017. Rep. Yoho is no stranger to the cost big government regulations have on small businesses across America. Receiving his Doctorate in Veterinary Medicine in 1983 from the University of Florida, he and his wife Carolyn owned and operated several practices for 30 years before he was elected to Congress in 2012. Rep. Yoho has a track record of voting in favor of seriously needed regulatory reform, including voting to limit EPA overreach through H.R.1732 and voting in favor of H.R. 5078, the Waters of the United States Regulatory Overreach Protection Act, which would disallow the U.S. government from regulatory expansion that would give the EPA jurisdiction over nearly any body of water including, puddles, ditches, and farmland ponds. 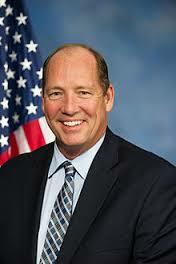 For his commitment to the Constitution, FreedomWorks is proud to name Rep. Yoho member of the month for June. With healthcare hanging in the balance and tax reform on the horizon we are happy to recognize principled members fighting to preserve liberty.